Dear friends, the main Callas site has succumbed to who knows what, perhaps a winter virus. But there’s plenty of great listening here: Bellini, Verdi, and so much more! Why not grab a cuppa and a snack (like the one Callas was pretending to prepare) and explore the archives? 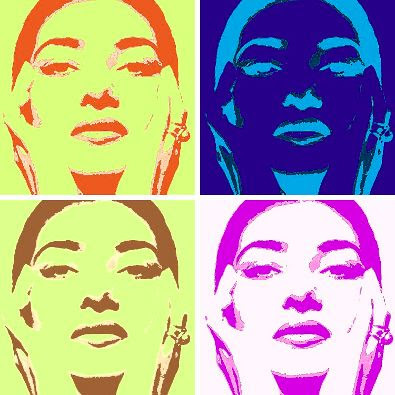 Darling readers, please be aware that this blog continues at a new address: http://www.revisioningcallas.com/blog. There’s lots of good stuff there, including Maria Callas in jeans and an essay for the anniversary of her death. Please come on by! Maybe it was the earthquake: mondo marion, Re-visioning Callas (which now lives at http://www.revisioningcallas.com/blog), Verdi Duecento, and my other sites hosted at the same place are all down. Maria Callas was born in New York on 2 December 1923. She went to rest in the bosom of Abraham, Isaac, and Jacob on 16 September 1977. In this age of sottish and soulless starlets who pass for divas, Maria Callas still stirs the heart and fires the imagination of those who love opera. She is immortal. Read “Re-visioning Callas.” Please also read my tribute to Maria Callas on the thirtieth anniversary of her death. The Italian Cultural Institute in New York has announced a Maria Callas exhibit, “A Woman, A Voice, A Myth.” The exhibit is scheduled to open on 2 December, Maria Callas’s birthday. Right now, eight days before 2 December, the ICI offers no information on the time or venue. On exhibit shall be the original stage costumes, outfits, jewelry, photographs, and unpublished documents belonging to the unforgettable soprano Maria Callas. The exhibit will be accompanied by archival footage and music. I will keep you posted as I learn more. I imagine that this is an iteration of one of the travelling exhibits that have been making the rounds in recent years. 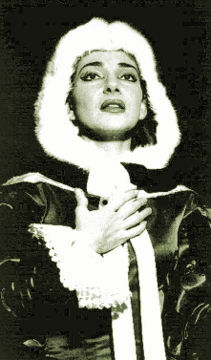 In some cases, as Nina Foresti has observed, costumes that seem to have little or nothing to do with ones that Callas actually wore have been exhibited as “Callas costumes” (select the link and keep scrolling down). I don’t know whether they will be part of this exhibit. 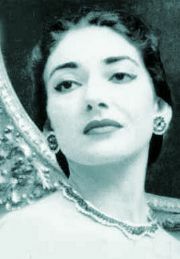 “Ombre légère” from Meyerbeer’s Dinorah, which Callas always sung in Italian, was part of her concert repertoire from 1949 to 1957. She often programmed it in conjunction with dramatic arias, to showcase her versatility. It’s silly music, but Callas sings it with her customary fierce exactitude, and its intricacy and sparkle somehow seem appropriate for a feast day. This version is from Callas’s 1954 Lyric and Coloratura Arias recital for EMI. Tullio Serafin leads the Philharmonia Orchestra. At Verdi Duecento, I posted some very interesting comments by Gabriele Baldini about Un ballo in maschera. My thoughts naturally turned to Maria Callas, and I decided to revisit one of her “late” (post-Meneghini) recordings: Amelia’s Act III aria, “Morrò, ma prima in grazia,” from Ballo. Nicola Rescigno conducts, and the recording was made in April 1964. I have two thoughts about this recording. First, if it is true, as some claim, that a “secret son” of Callas and Onassis died only three years before, then recording this aria must have been extremely trying for Callas. I shall die, but first grant me the grace of pressing my only son to my breast. And if you deny this last favor to your wife, do not deny it to the pleas of my maternal heart. I shall die, but let his kisses console (the torment) inside me, now that the last of my fleeting hours has come. His hand will reach out over the eyes of his mother, killed by his father, whom he shall never see again! Second, Callas is in splendid voice. Her tone is drenched in sadness, and her phrasing, while eloquent, seems so natural and inevitable. I do have my doubts about the very last sovracuto. (Does anyone else find that it sounds spliced in?). Still, what a pity that Callas would withdraw from the stage about a year later, and that her pride would not allow her to go on singing if she was no longer mistress of Norma, the most cruelly taxing of rôles. Dear friends, I am sorry that it has been so quiet around here! I have been busy readying the launch of Verdi Duecento. My intent is for Verdi Duecento be the English-language online hub for Verdi’s two-hundredth birthday, which is coming up in 2013. I will be back later today with a post about Maria Callas! Thank you for your patience! Maria Callas sang the rôle of Kundry in Wagner’s Parsifal only five times, in 1949 and 1950. One chronicler says that she was to have sung it at La Scala in 1956 instead of Giordano’s Fedora. Kundry seems to me a rôle that Callas could have sung comfortably into the 1960s, one that might have been a plausible comeback vehicle even as late as the 1970s (when she had reportedly signed on to sing Charlotte in Massenet’s Werther at the Opéra de Paris). One sticking point, I suspect, is that the opera is called Parisifal, not Kundry, though Parisfal is a cipher and Kundry is the character who draws us—well, draws me—to this opera. Another is that, by the 1960s and 1970s, the tradition of singing opera in the audience’s lingua franca and not in the work’s “original” language had been lost. Have you ever heard a sexier-sounding Kundry? Hear Maria Callas (and Giacinto Prandelli) in other music by Wagner. 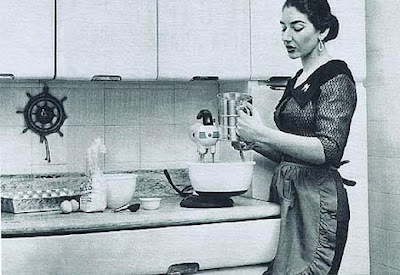 In late 1957, Maria Callas sang a concert at the Dallas Civic Opera that included arias from Mozart’s Die Entführung aus dem Serail, Bellini’s I puritani, Verdi’s Macbeth and La traviata, and Donizetti’s Anna Bolena. Many claim that Callas’s voice was in precipitous decline in 1957, but neither her hair-raising Dallas program nor her supple, easy singing therein support that claim. The Dallas concert itself was not recorded, but the rehearsal was, and she sang the Puritani mad scene with her customary pathos and flair (the downward runs in particular sounding like cascades of diamonds). What’s more, she ended the scene with a huge high E-flat. Her singing here—with a trusted colleague and friend, Nicola Rescigno, and without the pressure of a “gala” audience—to me suggests that Tito Gobbi was perhaps right. He opined that Callas, “desperately nervous” and a “vulnerable, lonely, elusive” creature, never lost her voice but lost her nerve. 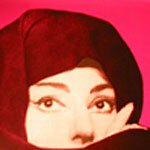 Hear Maria Callas in other music by Bellini. With all due respect for her as a human being and as a singer who, in one way or another, contributed to the so-called “bel canto revival,” the late Dame Joan Sutherland has never been an artist dear to my heart—this despite the fact that she was a knitter. I own only two recordings by Joan Sutherland: The Decca Turandot conducted by Zubin Mehta, and the EMI Don Giovanni led by Carlo Maria Giulini. That neither is conducted by Sutherland’s husband, Sir Richard Bonynge, is not a coincidence. Sutherland’s studio-only Turandot is a staggering achievement. No one—not Nilsson, not Turner, certainly not Callas—sings this music with greater ease. In fact, no one else sings Turandot with ease, period. Sutherland, instead, seems to possess limitless reserves of power. The pearly brightness of her sound is that of the moon, with which Turandot is so strongly identified, and it gives her principessa an otherworldly mystique. Her capitulation to Calaf, too, is beautifully and movingly sung. I think that Callas was correct. As a young singer, Joan Sutherland undertook small rôles in operas starring Maria Callas: Clotilde to Callas’s Norma and the sacerdotessa to Callas’s Aida. When Joan Sutherland sang alongside Maria Callas as part of the 1958 centenary gala of Covent Garden, it was as an emerging star. She was only three years younger than Maria Callas. Some months ago I posted an excerpt from Verdi’s Un ballo in maschera, the opera in which Maria Callas opened the 1957-58 La Scala season. As I indicated then, this triumphant Ballo came at a time when Callas’s career was beginning to unravel, though she was in superlative form during the Ballo run. Today, as part of Verdi’s birthday week, I offer you a trio from that same Ballo, which was conducted by Gianandrea Gavazzeni. In truth, this particular moment in the performance is a bit shambolic, with a few false entries and the like, but it is white-hot and very exciting. Along with Maria Callas as Amelia, the selection features Giuseppe di Stefano as Riccardo and Ettore Bastianini as Renato. Hear Maria Callas in other music by Verdi. This video by Richard Move features Barbie and Ken “acting out” dialogue from the Italian-language voice track of Pier Pasolini’s film Medea, which starred Maria Callas. …VIDEO DADA surveys the Internet’s amalgamation of popular culture and art, calling into question the difference between the two. I am drunk with fatigue today and half convinced that this is a hallucination born of too little sleep. Besides, I would have Barbie “play” Anna Netrebko. Happy viewing! Read more about Maria Callas and Pier Paolo Pasolini. The 500 most recent visitors to Re-visioning Callas represent all of the continents! Thank you for your support, and viva la Divina! Giuseppe Verdi’s Aida left Maria Callas’s stage repertoire in 1953, but it was an important opera for her during the early part of her career. 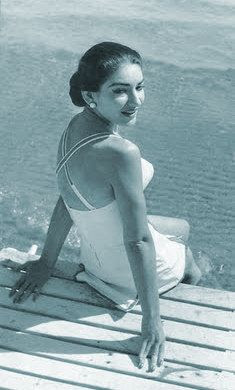 As a student and young professional in Athens, Callas frequently sang Aida’s arias, "Ritorna vincitor!" and "O patria mia." She offered music from Aida at her La Scala audition in 1947 and first sang in the house (albeit not as an official member of the company) in Aida in 1950. All told, she portrayed Aida some three dozen times and on three continents between 1948 and 1953 and also made a complete recording of the opera for EMI in 1955. The recorded sound is dim and distorted, but Callas’s singing is ecstatically beautiful—dreamy, gentle, and death-besotted in the scene’s opening phrases, in which she makes exquisite use of portamento. To my mind, her performance here equals and, perhaps, surpasses the legendary Ponselle/Martinelli recording of this duet. 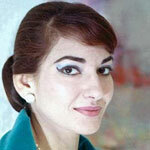 Hear Maria Callas in other music by Verdi, and hear additional selections with Giulietta Simionato. Maria Callas sang the rôle of Elisabeth in Verdi’s Don Carlos in a single run of performances at La Scala in 1954. Well, more precisely, she sang the rôle of Elisabetta in Don Carlo, though I have no information about the particular edition performed at La Scala beyond the fact that it was in Italian. “Tu che le vanità” remained a staple in her concert repertoire. She sang it frequently in her 1959 tour and also in her sad “comeback” tour with di Stefano in 1973–74. She also recorded it for EMI under Nicola Rescigno in 1958, the performance I offer you today. Verdi’s music is at its darkest and most brooding in Don Carlo, now recognized as a supreme masterpiece, but still something of a rarity in the 1950s. Callas’s tone occasionally turns watery (EMI’s brutally close miking doesn’t help), but she makes a grandiose whole of this varied and episodic scena. For all of Elisabetta’s nobility, Callas allows us to hear the young, once hopeful woman now crushed beneath the weight of court intrigues and dynastic politics. 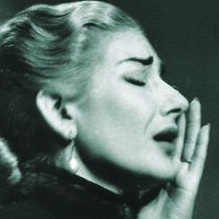 At “la pace dell’avel,” Callas’s Elisabetta looks deep into the abyss, and we along with her. On Saturday, 9 October, Giuseppe Verdi turns 197 years young. (Actually, it seems that he was born on 10 October but, as Marcello Conati reports, Verdi himself always celebrated his birthday on 9 October.) This week’s posts, then, will be devoted to music by Verdi. Macbeth was also at the center of two Callas “scandals” of the late 1950s: The dispute with Rudolf Bing that eventually led to his firing her from the Met; and her troubles with Kurt Herbert Adler and the San Francisco Opera. The supposed Macbeth curse does seem to have pursued Callas! Maria Callas recorded Lady Macbeth’s three great scenes under Nicola Rescigno in 1958, and they are among her finest recordings. Lady Macbeth’s entry in 1958 is less monumental in terms of vocal tone, perhaps, than the 1952 Scala pirate, but it is fiercer, with lashing attacks and a more propulsive quality than Callas had mustered earlier. Some of the credit for this must go to Nicola Rescigno. I’ve said it before: He was a much underrated maestro, not at the level of a Muti or a Toscanini (who is? ), but a sensitive and honorable musician. Hear Maria Callas in other music by Verdi, including video of this same aria sung in concert. Re-visioning Callas is an award-winning article and a book-in-progress by Marion Lignana Rosenberg. New around here? This post is a good place to start. This one, too.